Pick-Up and/or Drop Off - Yorkville to Hwy 9. Pick-Up and/or Drop-Off - Barrie. Pick-Up and Drop-Off - Waubaushene or Gravenhurst. Pick-Up and Drop-Off Waubaushene or Gravenhurst. This is a full day ski or snowshoe event. We will have a number of ski groups, and at least one Off Trail Snowshoe Group. You select which activity when you register. Online registrations close Friday 1:00 p.m. (without late fee), and then, Friday midnight (with late fee). Snowshoe Group: This will be a small group snowshoe group, so book early to avoid disappointment. We will be having a small bonfire at lunch. If you wish, bring your hot dogs, buns, condiments, and marshmallows to put over the fire. Registration: Click on the Register button (bottom left). Members need to login to receive the Members' Price. Fill out the Form > Next > Confirm. Make sure you register and pay online by Friday 1 p.m. to avoid paying late charges. Late Fee Charge: A $10 late fee surcharge is added onto your registration fee if you book after Friday 1:00 p.m.
You will receive a confirmation e-mail shortly after you have registered. Cancellations: You need to cancel online by Fri. 1 p.m. before the event to receive credit back. If you do not cancel by this time, the Club retains the fee. 3. Click the Cancel Registration button. You will receive a Confirmation e-mail shortly after you cancel the event, and a credit will be put in your account. Modifying your Registration: If you need to change your pick-up location that's a different price point, an "on request" stop, or wish to change your activity (e.g. 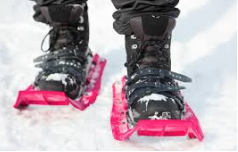 skiing to snowshoeing), you will need to cancel your current registration and re-register. Cancelling/re-registering need to be made by Fri. 1 p.m. to avoid the late fee charges.